CT Event: An Evening of Live Theater - Success! A fun and entertaining evening of live theater was enjoyed by our CT Chapter at the Westport Country Playhouse on August 20. We had a great member turnout and the evening began with some lively discussion and mingling amongst the members and their guests. That was followed by a very interesting discussion by Michael Ross the Managing Director of the Westport Country Playhouse who educated and entertained the group on the history of the Playhouse and the intricacies of the theater business. Michael was gracious, fun and a wonderful host to our Chapter. Michael's discussion was followed by a viewing of the play "The Things We Do For Love" in only its second night of production. It was a funny and sometimes tragic depiction of a love triangle that was performed exceptionally well and was very entertaining. I think we all had a good time and it was very nice to share the experience with our spouses and guests. A special thanks to Craig Rebecca Schiavone for arranging this event. Are performance options attractive when considering a new position? Grit and determination and a long career in consumer solutions have led Gwen to her current role as president of a high-end fashion retail company. * Two retail companies are now courting Gwen for the CEO position she’s been tracking toward for years. While the offers present similar salaries, one offers significant wealth potential through performance-based stock awards. Can Gwen use these performance options to accumulate the wealth needed for retirement and a second career pursuing her humanitarian ventures? Performance-based equity awards have continued to gain prominence as company boards seek to align compensation with executive performance. The compensation advisor The Hay Group surveyed 300 companies in the top 500, and found that 51% are incentivizing executives today using performance awards tied to the strategic goals of the firm. While time-based stock option awards have declined, performance options are nonqualified stock options linked to performance. Usually the awards are tied to earnings per share targets or certain stock price conditions. They vest when the metric has been satisfied; thus they are referred to as “performance-earned” options. 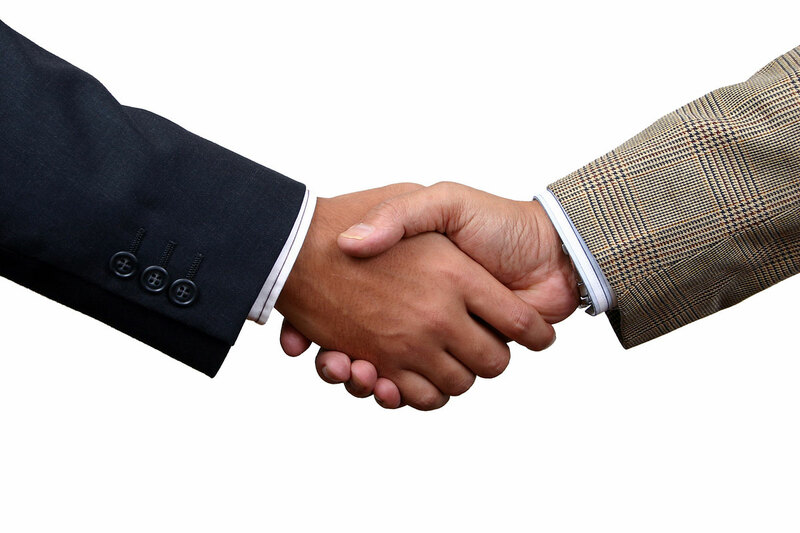 Once vested, an executive can exercise and sell them right away. Gwen sought our help in understanding how these performance options work, and whether the performance metrics could reasonably be met in order to benefit from the award. She determined that the offer from the company utilizing performance options was superior and would accelerate her plans to eventually run a nonprofit serving humanitarian goals. If you are evaluating offers and need help comparing parity, it is important to understand the value of the awards, the terms of the performance target, tax treatment and how the likely outcome compares with other forms of executive compensation. * The name, likeness and circumstances in this example are a fictional composite of facts from executives similar to actual SFG Clients. On June 11, our CT Chapter participated in a 90-minute interactive seminar on the science of Influential Negotiation. Four attendee volunteers had the opportunity to hone their business negotiation skills during a live mock negotiation session based upon a provided study/scenario. Following the negotiation simulation, presenters Jane Dolente and Jack DeBardeleben of The Skilled Negotiator facilitated an engaging group discussion regarding the 13 essential behaviors utilized by skilled negotiators. Each volunteer received a personalized, quantitative analysis of their use of these identified behaviors, along with qualitative feedback from fellow attendees. 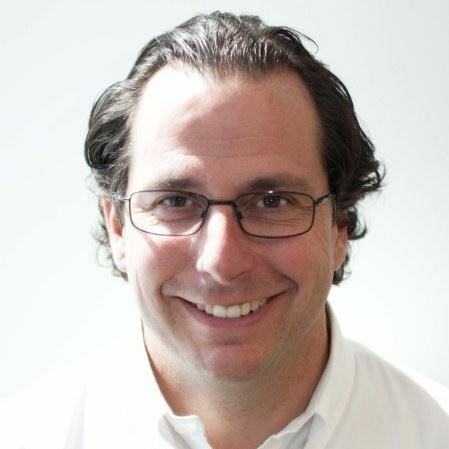 CEO Trustee Mike Pellegrino, CIO of The Sun Products Corporation, participated in the mock negotiation and shared, “I liked the program - it was engaging, fun and thought-provoking. Jack and Jane were really good and did a very good job of working with everyone to experience negotiating via a simulation exercise. Everyone was engaged in the discussion due to the scenario-play type of presentation they did, and it fostered good conversation and feedback. Well done." 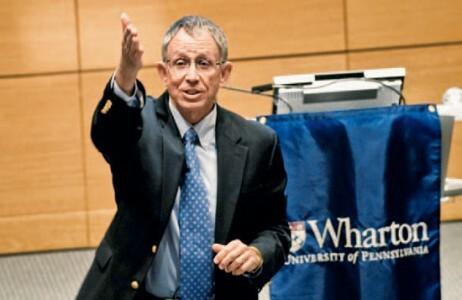 CEO Trust speaker Michael Useem recently co-authored a piece for the Harvard Business Review. “How Boards Can Innovate” proposes that boards should be at the forefront of corporate transformations, not resistant to them, and gives examples of successful, innovative companies with equally innovative boards. Michael Useem is Professor of Management and Director of the Center for Leadership and Change at Wharton School, University of Pennsylvania. He is also author of The Leader’s Checklist and co-author of Boards That Lead: When to Take Charge, When to Partner, and When to Stay Out of the Way. 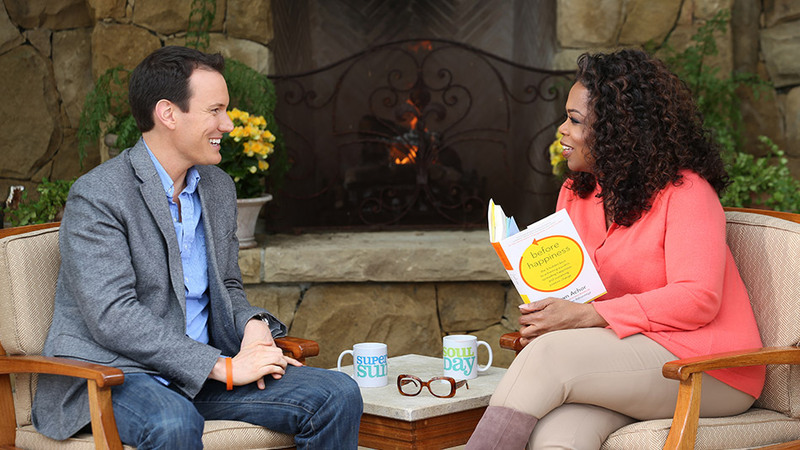 CEO Trust speaker, Harvard-trained researcher and author Shawn Achor was featured recently on a Super Soul Sunday episode with Oprah Winfrey. In his appearance, he explains how sending one simple email a day, for 21 days, has been proven to increase happiness and may even extend your life. "Write a two-minute email, or tweet, or Facebook message, or text message praising or thanking one person you know," Achor says. "It's so simple. Two minutes. It's usually two or three sentences, and you do a different person for 21 days." Phone calls or face-to-face contact is even better. Shawn researches and teaches about positive psychology. He's one of the world's leading experts on the connection between happiness & success, and his TED talk is one of the most popular all time with over 3.8 million views. 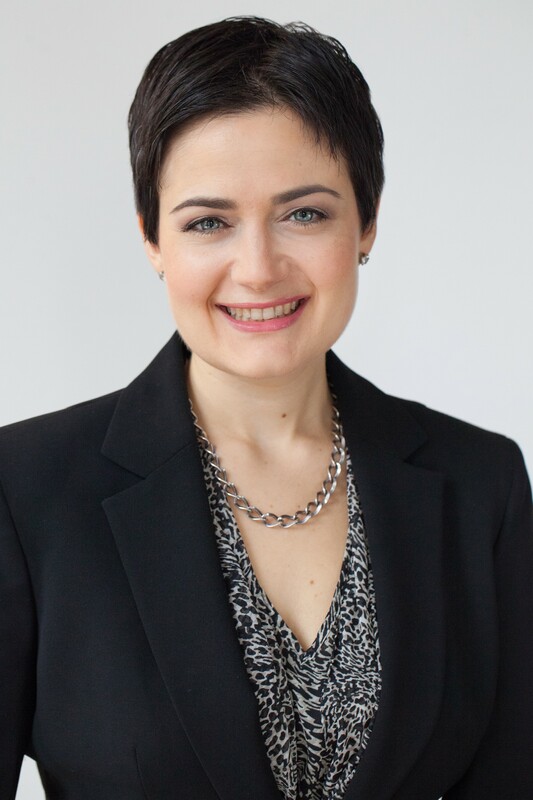 In her exclusive presentations for CEO Trust's NYC & CT Chapters recently, Nora Simpson, CEO at Simpson Strategic Solutions, revealed the simple, tangible ingredients that have created catalytic results for companies in more than 15 industries. Nora's proprietary methodology, more than a decade in development, combines neuroscience and business strategy to help companies significantly increase revenues in six to twelve months. Following a review of the four processing modes of the central nervous system - including the pros, cons, pitfalls, and strategies for survival of each - Nora presented case studies demonstrating how her methodology has helped companies and individuals alike identify their core processing modes, transform issues, and propel their businesses toward explosive growth. A dynamic and interactive presenter, Nora actively engaged the audience in considering which processing modes are at play in their own lives & businesses, challenged them to examine their primary road blocks to success, and make changes to increase personal & professional profitability. Having recently attended CEO Trust’s NYC Chapter event “Digital and Social Media Tips and Tricks” with Sree Sreenivasan, the first Chief Digital Officer for the Metropolitan Museum of Art, I came away from his presentation quite impressed with not only his enthusiasm and passion for technology and social media, but also his ability to captivate a room of executives, regardless of their technological knowledge. Sree's expertise was quite apparent, and I left his presentation with "homework" and tangible ideas to immediately implement to help propel my business forward. On both a macro and micro level, Sree's straightforward and engaging approach was refreshing, and his subject matters clearly resonated with nearly every attendee, as evidenced by the overwhelming number of questions and insights received throughout his presentation. Sree covered a wide array of topics, reinforcing the importance of social media, and the necessity for businesses to establish and maintain a focus on social media as an integral part of their marketing and branding efforts. With their interests piqued, at the conclusion of the presentation, you could merely look around and easily see other attendees yearning for more. The CEO Trust PA Chapter Roundtable on May 6th was one of the best yet. CEOs representing both public and private equity organizations were represented ranging from the chemical industry, manufacturing, pharmaceutical distribution, technology, to consumer automotive. The discussion, led by our own RJ Juliano, prompted a series of relevant questions ranging from team development, identifying high potentials, vertical communication from and to senior leadership, employee demographics, an ever increasing diverse workforce, communication styles, social media, work life balance, and reverse mentoring. Increasingly, CEOs and business leaders crave robust dialogue and exchange of ideas which help propel their organizations toward excellence. This CEO Roundtable delivered! If you haven't yet attended such an event, we strongly encourage you to do so in the future. You won't be disappointed. Mr. Steege is President of SFG Wealth Planning Services, Inc., SFG Investment Advisors, Inc. (SFG), a fee only financial planning firm. Founded 20 years ago, SFG is dedicated to assisting senior executives and their employees with their complex stock-based compensation and planning challenges.